Each February we invite the high achievers of the previous year’s Year 12 to return to their alma mater to catch up with where they are now and to formally congratulate them on their results. 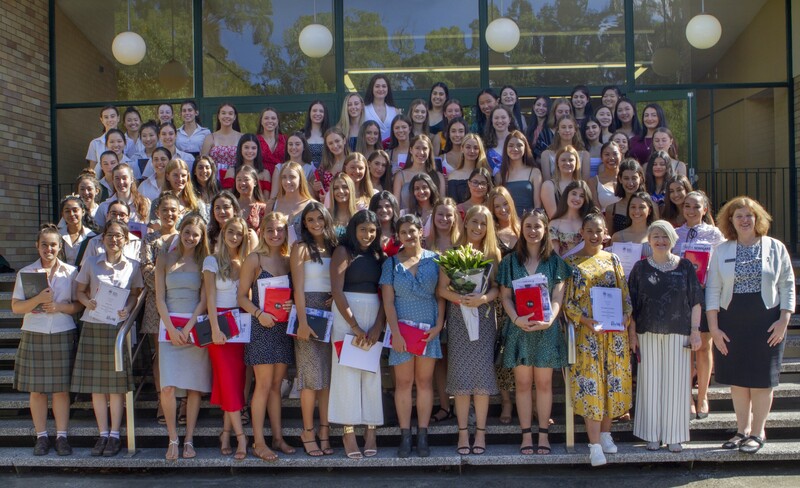 The Class of 2018 gave Santa Sabina College the honour of being ranked by The Sydney Morning Herald as the top Catholic school in NSW based on HSC results. The high achieving young women were presented with awards at a special assembly where they also imparted advice to our current students. Good morning Dr Herrett, staff, students, parents and high achievers of the class of 2018. You may not recognise us since we saw you last in November. We were sleep-deprived, over-caffeinated and suffering from hand cramps and information overload. In the words of some of the girls sitting in front of me today, “we were victims of a traumatic, anxiety-filled, marathon”, more commonly known as the Higher School Certificate. However, fast-forward four months filled with formals, Schoolies, trips to Hawaii, Europe and South-East Asia, 18ths, Shwednesdays and bad fake tan lines; we’re back, and we’re thriving. If I’ve learnt one thing in the past year it’s that although the exam may be over, a reflection of your efforts, no matter the result, is always essential. Looking back, our individual HSC accomplishments were a team effort, extending beyond shared google drive folders and the Class of 2018 Facebook Page. Our year group has demonstrated a sustained history of collaboration and excellence, notably during our Opera-8 musical performances, last year’s transformation of our common room into an instant bruschetta restaurant, and our production of the most impressive graduation assembly to date, complete with a video cameo of ScoMo himself. It was that sense of camaraderie and collaboration that we brought to the HSC that has led to so many of us being present today. 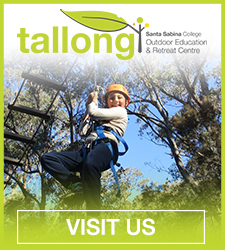 But admittedly, our most outstanding achievement to date was reducing the time it takes to scroll and find Santa Sabina College on the HSC school rankings website, having finally made it into the top 30. Our impressive results would not have been possible without some other key stakeholders. On behalf of our entire cohort, I wish to thank whoever invented coffee and 2 minute-noodles. Also, the staff at Maenam Thai, Me Oi, Saigon Bowl, Cha-time, the Mandoo, The Chef’s Palette, Gloria Jean’s and Oporto. Thanks must also go to our dedicated teachers, who graciously provided invaluable feedback on late night essay submissions, and tolerated the many moods of anxious HSC students. To our parents: thank you for letting us use the HSC excuse to dodge housework, and for providing never-ending emotional, financial and gastronomical support throughout the HSC. Without your aid and guidance, we could not have been high achievers. The Class of 2018 is a diverse bunch of under-paid casual baristas, retail assistants, make-up artists and check-out chicks, dealing with the highs and lows of burgeoning early adulthood. However, we’re confident and assured looking to the future with what we take away from Santa, as our education has provided us with choice. As Santa graduates, we’re privileged. We can realistically aspire towards, and pursue, any goals of our choosing that will allow us to benefit society, whether as doctors, nurses, musicians, CEOs, software engineers, research scientists, teachers and professional sports-women, with some of us already acting on our ambitions. Whilst at Santa, we learnt beyond our class content. We were encouraged to question and challenge issues in our society, broadening our understanding about the world that we now experience as school leavers. We learnt that popular opinions are not always right. Complacency can be a barrier to standing firm in our own convictions. We have a duty to act with integrity in order to achieve what is right in any given situation, and to recognise the consequences of our choices and actions. These are the foundations upon which we will grow and achieve our goals. Sleep. It’s not worth giving up, and a sleep routine is usually the first thing that goes. Trust what you know. If you’re a night-owl, don’t try to wake up early. You may know the study formula that works for you, so stick to it. Beware of study groups. They may work for you. But, killing two birds with one stone and combining social time with study sounds productive, but can also become wasted time. Agree to stick to a timed plan, and study with people who won’t distract you. Log out of or deactivate your social media during exam periods. Spend real time with friends and don’t feel guilty about going out and doing other things because you need a break. Have a realistic goal to achieve, or even a reward to work towards to keep you motivated. Plan in little chunks and just do a little bit every day. You’ll always feel better waking up the next the morning, knowing that you’ve at least done something the day before. I think that the most important piece of advice is to fully immerse yourself and enjoy your last year of school, because it’s never going to happen again. While I’m more than happy to leave exams and assessments behind, I have incredibly fond memories of 2018 that I would love to go back to. On behalf of the graduating class of 2018, I want to thank the entire Santa Sabina community for giving us the opportunity to dream big, share ideas and follow our passions within the comfort and safety of the school environment. And as much as it is satisfying for many of us to be accepted into the course of our choice, tertiary study isn’t for everyone. But whatever career path we take, we can be assured that our education has provided us with the confidence and knowledge base to make a valuable contribution, seeking the truth, wherever we may go.